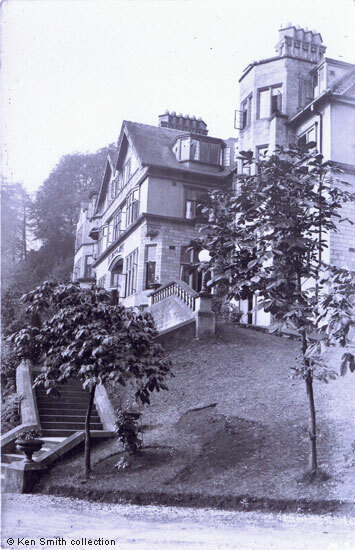 Three close up photographs of the building's exterior, and one from some distance away, taken not long after the Co-operative Holidays Association leased the mansion in May 1911. Their lease was for five years. The first two images were taken at a similar time but were published by two different postcard companies. The impressive grand entrance doorway at the rear of the house and facing the hillside was approached through an elaborately carved stone arch on which there are two shields, though ivy is beginning to cover the one on the left. Neither seems to bear arms. The large window on the right of both these images features in another picture, of some soldiers in WW2. The cards sender wrote the following: "Woodbank Sept 1st... Have had two splendid days on the Moors over Masson on to Winster and then above Riber & Ashover. This is our front door which is at the back!" In 1915 Woodbank was said to be a "large, artistic and beautifully situated house". A sale's advertisement in 1917 described the property as sumptuously appointed, with a long carriage approach, heated conservatories (partly seen here) and motor garage. Its grounds were said to be charming. as the trees in the background have less leaves on them. between the various levels of the grounds. where I acted as Sec Nov 2012". Later pictures from the same vantage point show more trees around the main house. 1. [Untitled. 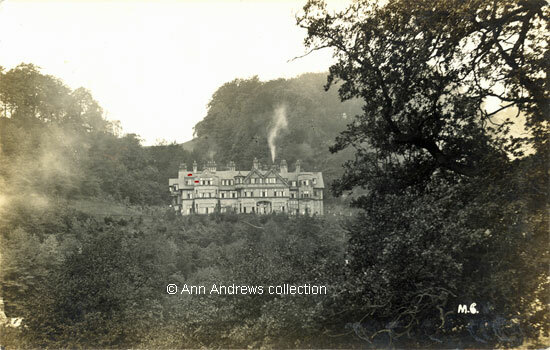 Woodbank, Matlock Bath] Photographic postcard. No publisher. British card. 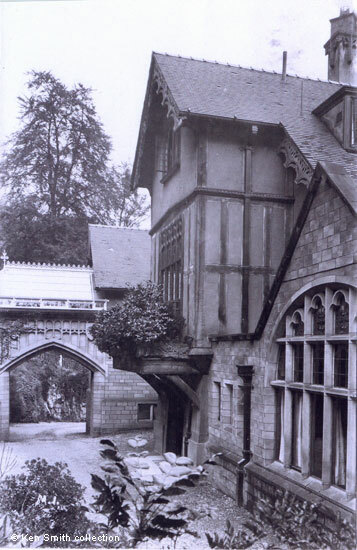 Posted in 1915 at Matlock. © Ann Andrews collection. 2. 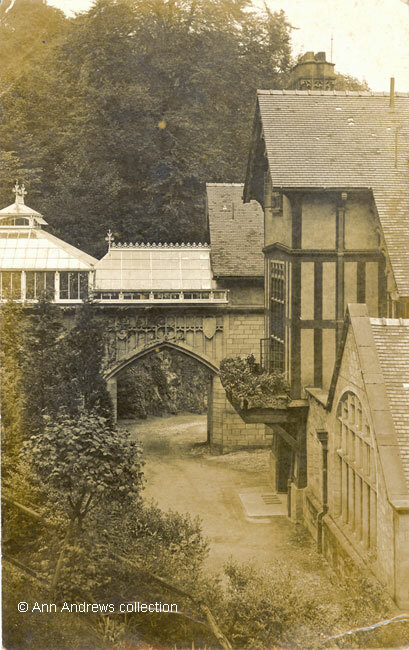 Untitled but "Matlock Bath, Woodbank", Photographic postcard published by Hirst, Photo, Birch Vale, via Stockport. 3. Untitled but "Matlock Bath, Woodbank", probably the same publisher. 4. [Woodbank]. Published by Hirst, Photo, Birch Vale, via Stockport, Ref: M. J. Written and posted the same day, 10 Nov 1912, at Matlock Bath. © Ann Andrews collection. Images 2 and 3 in the collection of, provided by and © Ken Smith. "Derbyshire Times", 6 May 1911. "Derbyshire Advertiser and Journal", 20 and 21st April 1917.